On January 29, 2019, in Gilberg v. California Check Cashing Stores, the Ninth Circuit Court of Appeals held that any “surplus” language in a background check disclosure and authorization form is unlawful under the federal Fair Credit Reporting Act (“FCRA”), including state specific disclosure requirements. 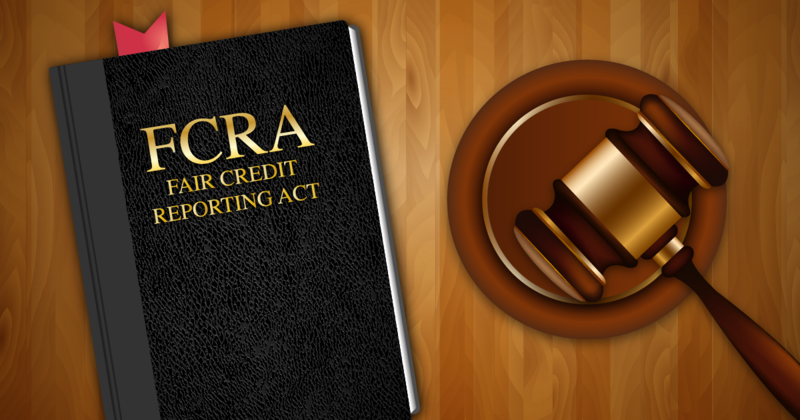 The FCRA requires that a background check disclosure and authorization form must include only the disclosure and cannot contain any extraneous information. Therefore, an employer’s disclosure and authorization form may only include the information required by the FCRA and cannot include any other information, including disclosures and language required by state law. Of the Ninth Circuit states—Alaska, Arizona, California, Hawaii, Idaho, Montana, Nevada, Oregon and Washington state—only California and Washington have state-equivalent FCRA laws. Further, only California’s law, the Investigative Consumer Reporting Agencies Act (“ICRAA”), contains a disclosure requirement. As a result of the Gilberg ruling, employers who perform background checks in California will need a separate document containing the disclosure requirements under ICRAA. To lessen potential legal risk for non-compliance, we recommend as a best practice that all employers, including those outside the Ninth Circuit, use separate disclosure and authorization forms for FCRA and applicable state laws. TruView’s compliance team takes great pride in our ability to help our Clients stay in FCRA compliance. One of the ways we do that is by ensuring that the required disclosures—such as the applicant disclosure and authorization, summary of rights, and pre-adverse and adverse action letters—are “buttoned up,” without ambiguity, and aligned 100-percent with FCRA. Note that, in addition to the Ninth Circuit ruling, other recent legal developments underscore that importance of following FCRA to the letter. this. For example, in January, Delta Air Lines settled a class-action lawsuit for $2.3 million. The lawsuit claimed that the airlines did not provide an FCRA-compliant, standalone disclosure and authorization to conduct pre-employment background screens to 40,000 job applicants. The forms Delta provided allegedly contained extraneous, misleading, and confusing information. Frito-Lay and Target also have paid out multimillion-dollar background check settlements for similar class-action lawsuits within the past year. In another major class-action lawsuit with FCRA at the heart of the case (Pitre v. Walmart Stores, Inc.) a California district court certified five million people—not a typo!—who had once applied for jobs at Walmart in a lawsuit alleging that the retail giant engaged in improper background screening procedures, in violation of the FCRA and California law. Walmart is alleged to have willfully included extraneous information on its disclosure and authorization forms, so subsequent background screens were illegally performed. While the case is ongoing, Walmart is now one of several employers that have recently faced allegations of improper background check procedures, in violation of the FCRA and/or state law.